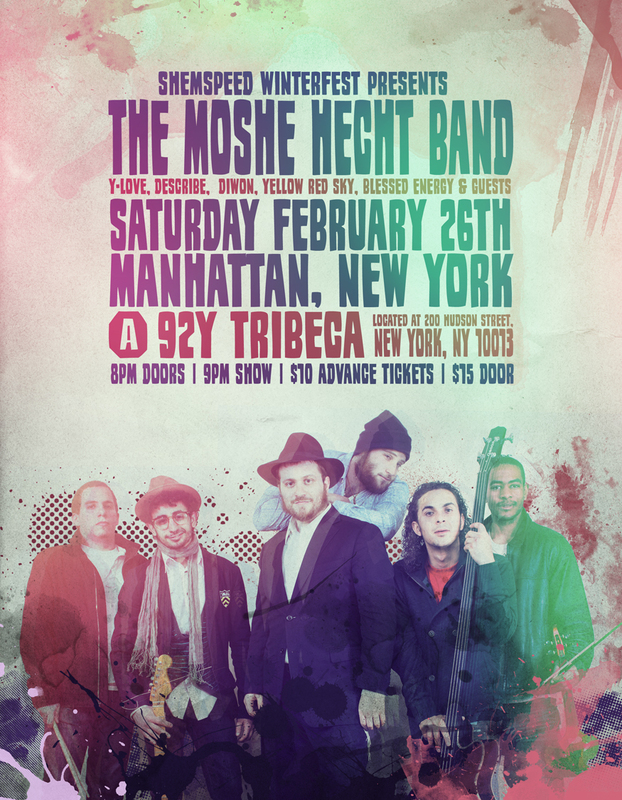 Shemspeed Winterfest Presents: The Moshe Hecht Band. Motzei Shabbos, Februaru 26th. NY, NY a A92Y Tribeca, located at 200 Hudson Street. 8PM doors open, 9PM Showtime. $10 Advance tickets, $15 at the door. Go to Facebook.com/MosheHechtBand or twitter.com/moshehecht for more info!